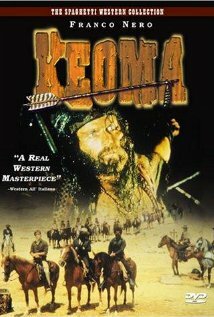 Buy or Rent Keoma (1976) Movie DVD & BluRay Online! Movie Plot: Half-breed Keoma returns to his border hometown after service in the Civil War and finds it under the control of Caldwell, an ex-Confederate raider, and his vicious gang of thugs. To make matters worse, Keoma’s three half-brothers have joined forces with Caldwell, and make it painfully clear that his return is an unwelcome one. Determined to break Caldwell and his brothers’ grip on the town, Keoma partners with his father’s former ranch hand to exact violent revenge.